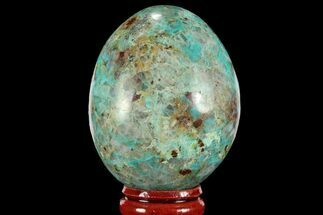 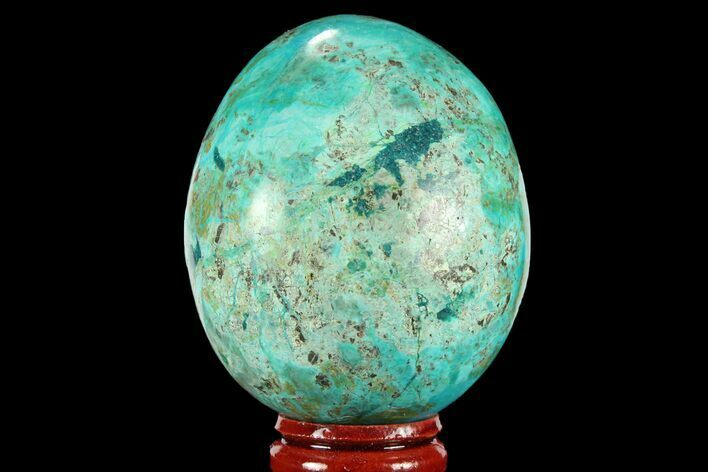 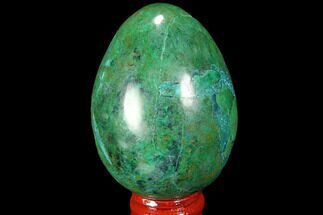 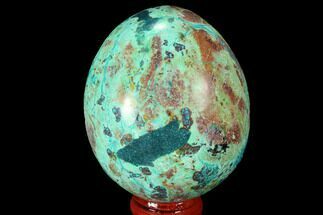 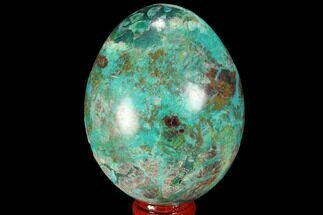 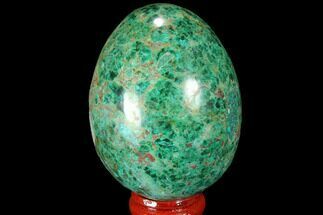 This is a beautiful, hand-polished "egg" that's composed of brilliant blue-green chrysocolla, collected from Peru. 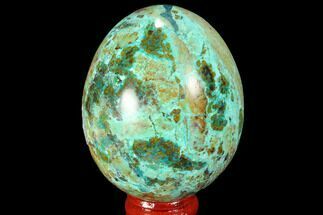 The lapidary work is very nice, and allows for the natural formations of the mineral to be seen. 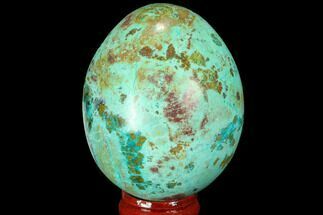 It makes for a very aesthetic display piece. 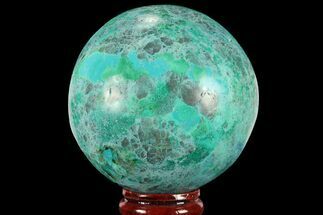 Comes with pictured display stand. 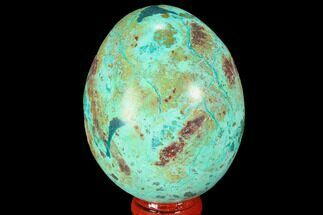 There are multiple locations of dark blue gap fill on this egg, likely to assist with consistent polishing of the specimen.